Happy 2015, hope you had an amazing and safe festive season! It was our munchkin's first New Year and Christmas. Sorry for being absent for so many months- a lot has changed since my last post. 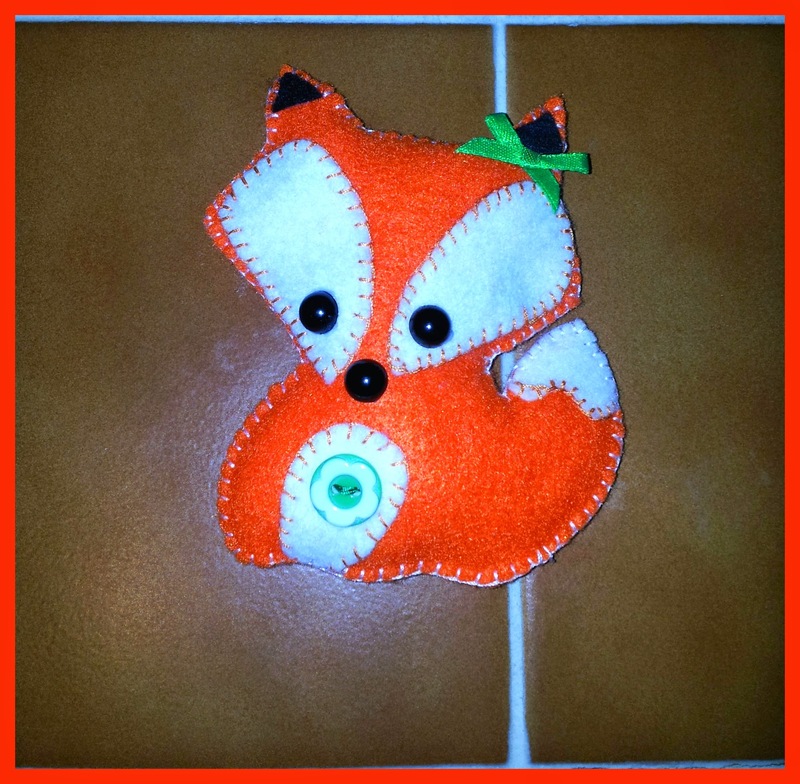 Today I'm going to show you how to make this cute fox I've made the other day. First of all, prep your materials! 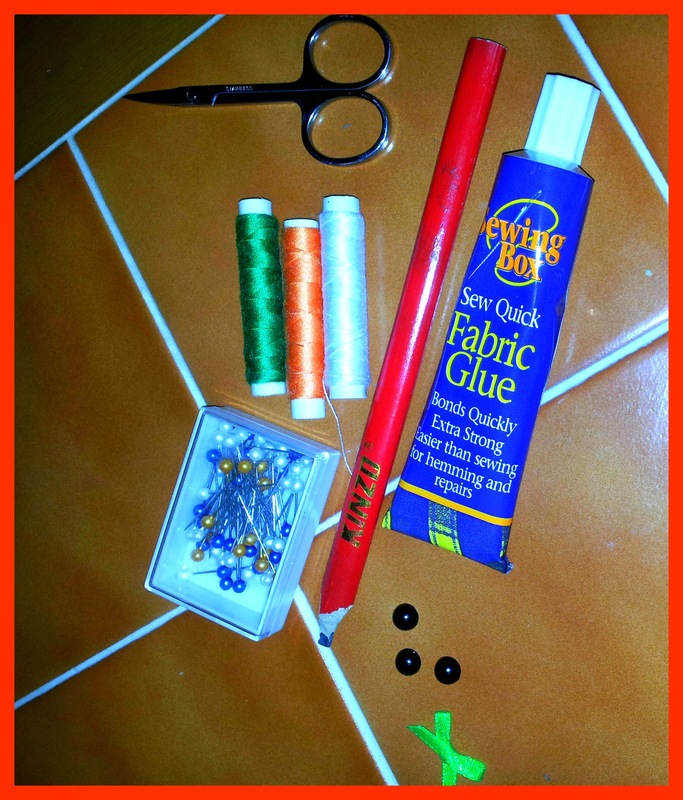 You will need fabric glue, décor, a needle, colour threads, paper to draw your pattern, pins, stuffing of your choice (I've used cotton) and scissors. 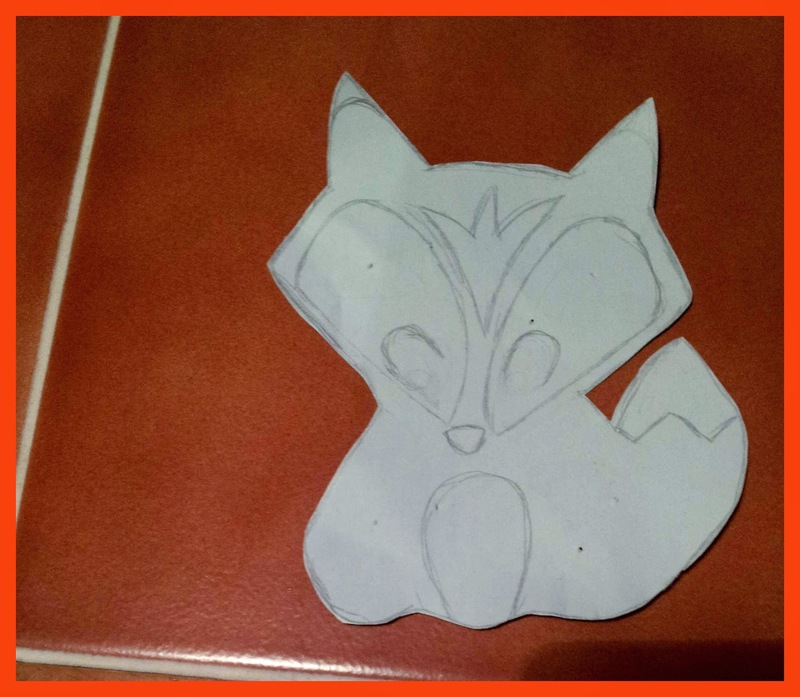 Cut out a preferred fox pattern, I've found mine on good ol' Google and roughly drawn where I want body parts to be. I've decided not to make the fringe, so it's not included on the end result. 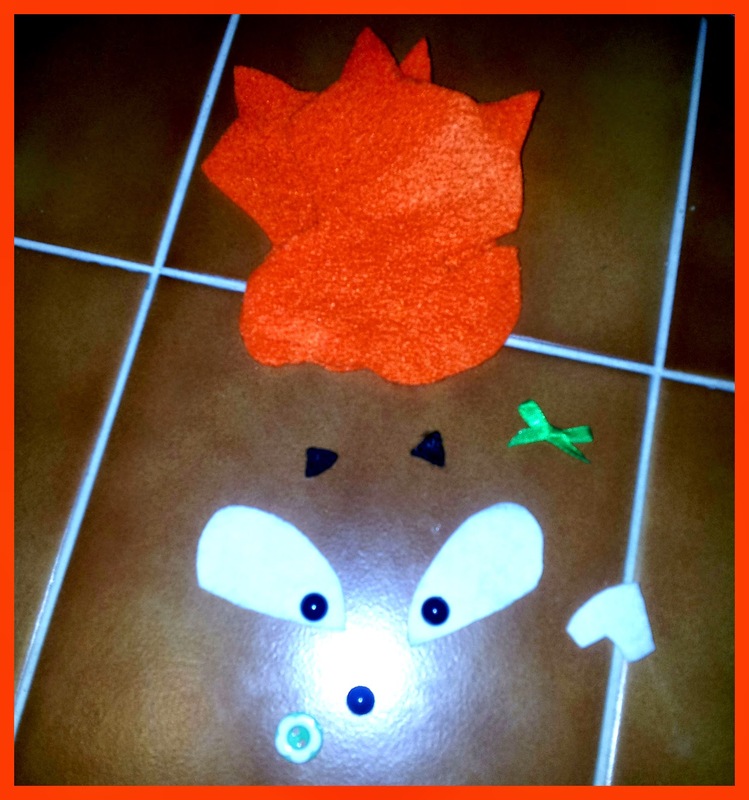 Here, I've cut out all body parts of my little fox, remember to cut out 2 body sides if you are not sewing the front to a pillow or something else. Next step is to sew everything onto the front of the fox's body, Don't worry about eyes or décor, you can glue that when you are fully finished. After you've done all the sewing, if you have any buttons to decorate the front, this it the time to do so. I've chosen a button that works well with the colour scheme and with the bow I'll be gluing on later. 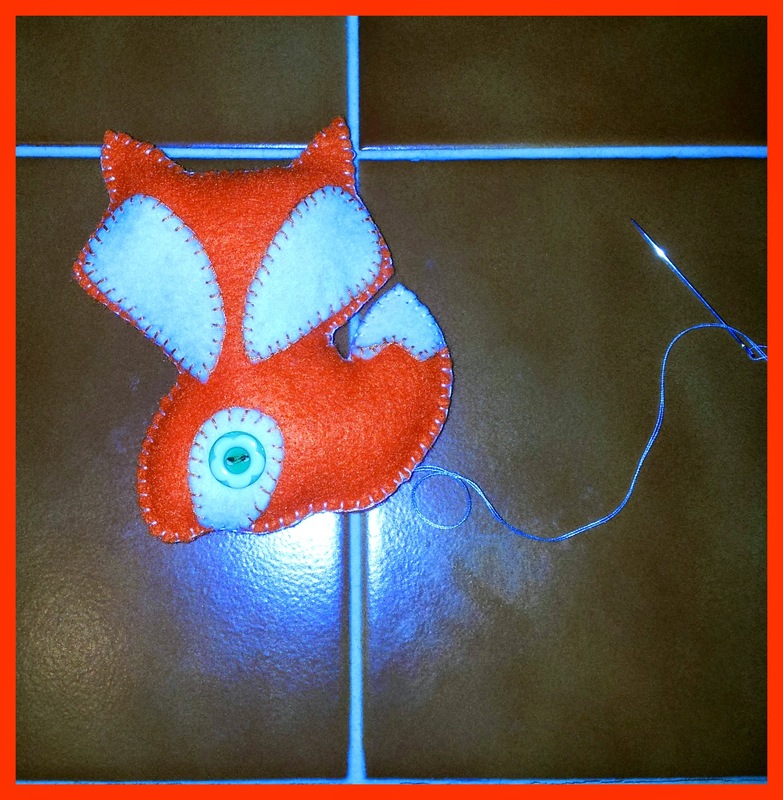 Now, sew both parts of our fox together, as you can see from a previous picture, for all the sewing of white parts, I've chosen to use orange thread. This is what I've talked about at the beginning of my post. So for sewing both sides, I chose white thread. I like this type of twist to a simple blanket stitch! 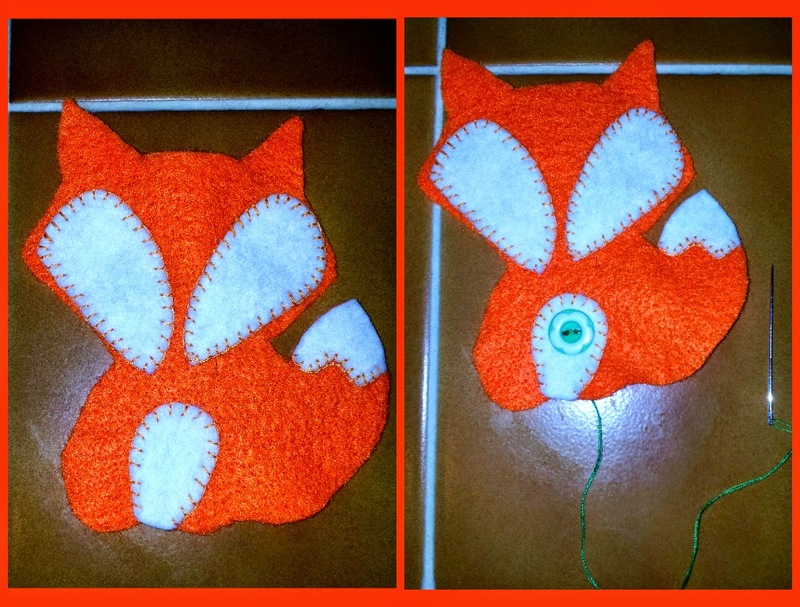 Leave a little opening somewhere around the body to stuff your fox and then complete the blanket all around. Last but not least, using a fabric glue of your choice, glue black ear parts, eyes, nose and a bow (if you have one) onto the front of the fox's body and you are done! I know I say this every time I'm gone for long, but I really hope to show you more tutorials. I just have to work around my little princess's schedule and a job and housework and life altogether lol... Hope you enjoyed my first tutorial of 2015. Comments would be really appreciated! Til next time.. Thank you for such a great tutorial.this is a very cute fox.Im looking forward to see more.